Let's get straight to the point, hospital superbugs such as C. diff (Clostridium difficile) cost people their lives. Hospitals around the world have reported on how tough the battle is to combat the viruses that can afflict a relatively healthy person and endanger their lives very quickly. But maybe help is at hand from man's best friend. Angus is a seemingly ordinary Springer Spaniel with an extraordinary skill. He's able to sniff out harmful bacteria and so far he's already done it more than 100 times. Another case of dogs showing us that we have yet to tap even the tiniest amount of their potential and a glowing reminder of why canines continue to play such a vital role in our society. 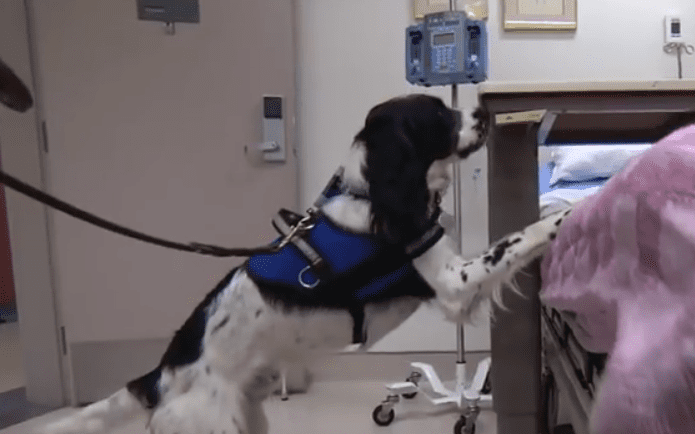 Learn how Angus performs his role in hospitals. I want to ask that how many tablet should I gave to her for deworming and at what frequent of time in a same day? ?should I gave two medicine at d same Time? ?